AUCKLAND, New Zealand - Auckland City FC held off a late comeback to defeat ten man Hawke's Bay United 2-1 in a nailbiter at Kiwitea Street today. In an often tense encounter the Navy Blues struggled to break down Hawke's Bay dogged defence in windy and wet conditions not helped by the sudden emergence of the ground's water sprinkling system just after the start of the second half. The visitors created two decent chances in the first half via Sam Mason-Smith but the striker was foiled by Enaut Zubikarai while the Navy Blues had the ball in the net via Micah Lea'alafa only for it to be chalked off for a foul on a Bay player. Maxime Oliveri drew another top save out of Zubikarai when the Spanish goalkeeper palmed away his free-kick 10 minutes after the break. After the hour mark coach Ramon Tribulietx threw on Dylan Manickum, fresh back from futsal duties, to try and break open the Bay defence and within minutes the former Waitakere United wide man was a hero tapping home from close range. Lea'alafa then unleashed a second for the home side that appeared to secure the victory only for the match to be tipped on its head when Oliveri was sent off for a second bookable offence late on. The Navy Blues made two more changes with Brian Kaltak and Takuya Iwata introduced for Mario Bilen and Dan Morgan only for Mason-Smith to spoil the party with a late goal. The full time whistle couldn't come quickly enough for the Navy Blues as Hawke's Bay United won a late free-kick that was deflected wide for a corner. Tribulietx was pleased to pick up a third win in three games but admitted it was a nervy finish. "It was a very very hard game. Hawke's Bay changed their system completely and they pressed us very high up the pitch and made our life very difficult. "In the first half we were a little too direct and that split up our team which for the way we play doesn't help but we sorted it out at halftime and scored two goals," he told www.aucklandcityfc.com. He added that there was an element of fatigue about his side that saw them switch off for Mason-Smith's goal. "There was a bit of tiredness crept in and we made a mistake that cost us a goal and sometimes in football in two minutes you can concede a goal. "It was difficult in the beginning of the second half because they weren't pressing too high and went one on one in the middle third but we showed patience and that paid off in the end. Extended highlights of today's #ISPSHandaPrem clash between the #NavyBlues and Hawke's Bay United available at https://t.co/ZoGnjUPxWr from Monday evening. "Dylan's goal was very good. For us it was a matter of penetrating through their shape and we put Dylan on because he's very good arriving late and it was a good finish from an excellent cross. "That goal changed the game and we became more dominant then they had a player sent off and we should've sealed the game. "The tiredness cost us a goal and in the end we wanted the whistle to blow. That's football we're happy with the three points. "We have to learn a lot from this game today and we've got a whole week to see what that means before we face Eastern Suburbs," Tribulietx said. Reid Drake finally made his 50th appearance for Auckland City FC after last week's washout in Dunedin meant the game didn't count towards career tallies. The match was also notable for it being the last involvement of David Firisua. Firisua, the team manager and head of special projects at Auckland City FC since 2015, leaves the club to take up a role with the FIFA Development office in Auckland. 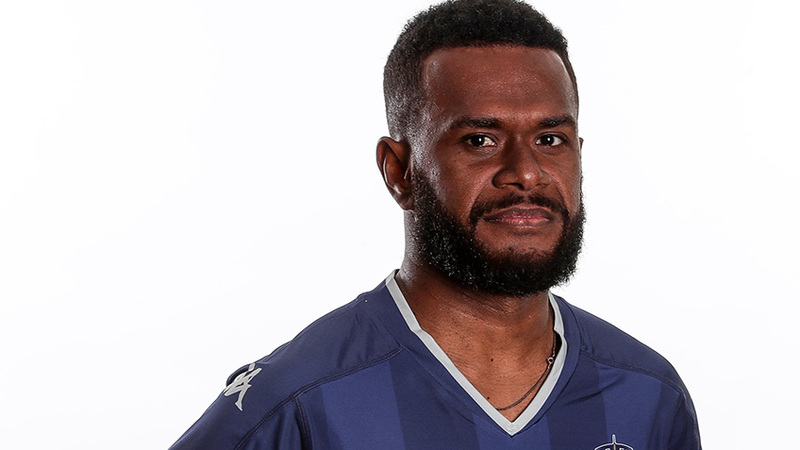 The former Solomon Islands international won five caps for his country, scoring one goal, and turned out as a player for Central United, Mangere United, Ngaruawahia United amongst others. The club wishes David every success in his new role. AC: 1. Enaut ZUBIKARAI (GK), Mario BILEN (Brian KALTAK 86'), Angel BERLANGA (c), Jordan VALE, Alfie ROGERS (Dylan MANICKUM 64'), Reid DRAKE, Te Atawhai HUDSON-WIHONGI, Cam HOWIESON, Micah LEA'ALAFA, Javier LOPEZ, Dan MORGAN (Takuya IWATA 82'). SUBS NOT USED: 18. Ruben PARKER (GK), Yousif ALI.